Some companies may forgo market segmentation strategies as new products and services are developed. Instead, they may consider using consumer collaboration or crowdsourcing. In fact, crowdsourced ideas are closely linked to a variety of marketing innovations. Consider Google’s recent update in India, which allows TV shows and movie reviews from web users right within Google search results (Perez 2017). However, consumers may have contradictory goals between each other. Under ideal conditions, a firm can respond to divergent consumer demand by adjusting product or service offerings accordingly. The strategy of market segmentation, then, is useful to address consumer heterogeneity (Smith 1956). The constraints some firms may face in circumstances that are less than ideal are central to our argument in the development of new products. For example, segmentation may not be a viable option when supply-side resources are constrained, market position depth is maximized, or the addition of a new segment is not profitable. Additionally, segmentation may simply fail to align with a firm’s core mission. Our research, then, addresses the conflict that occurs when segmentation does not play a strategic role in the new product development (NPD) process. Self-segregated groups of consumers are co-creatively involved in NPD but may have contradictory product goals. We explore the outcome, co-competition (Hiler et al. 2017), here. For our study, we used a grounded theory approach combined with content analysis (Corbin and Strauss 2008; Charmaz 2002). We implemented a critical incident technique survey methodology, which permitted participants to pick their own context in which to provide an example of a time they felt a company and/or service provider abandoned and/or betrayed them for another group of consumers (Flanagan 1954; Gremler 2004). Finally, the analysis of the data was conducted using a hermeneutic and phenomenological approach (Thompson et al. 1994) while also relying on models of naturalistic inquiry (Belk et al. 1988). Our research implies that co-competition negatively influences consumers’ attitude toward the company. Value propositions furnished by the firm become lopsided or diluted, and consumption levels (e.g., subscriptions, in this context) are significantly reduced. 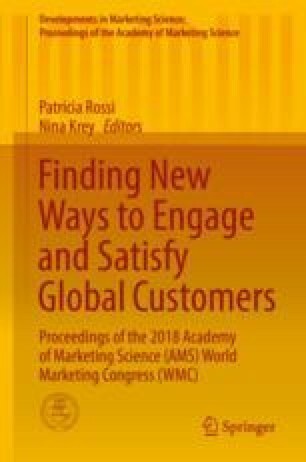 As a result, empirical examinations that experimentally test the differences in attitudes and behavioral outcomes, as a function of consumers’ varying ability levels and dispositions (proclivity) toward co-creation, would be appropriate and timely contributions to marketing research and management.